Young admitted that something took place, but argued that there was justification: ‘‘Maybe I did work Mr. Nelson over a little,’’ she’s quoted as saying at the time in a Young obituary syndicated by the Washington Post in 2014. ‘‘He made advances to me. Improper advances.” Your mileage may vary as to what exactly that means, especially in a 1949 context, but it helped her evade charges. Moolah wasn’t any better. It’s long been wrestling lore that her Girl Wrestling Enterprises booking agency was, if not outright a scheme to pressure trainees into prostitution, then dangerously close to one. Susie May McCoy, a Moolah trainee who wrestled as Sweet Georgia Brown, told her children that she was expected to undress if someone knocked on her motel room door at “strange hours,” or else she would be beaten. McCoy’s daughter also witnessed a woman, implied to be Moolah, assault her mother over a minor perceived slight. Over the years, while Moolah was generally loathed by other female wrestlers, she was well-liked by men in the business and considered an especially savvy political operator. In light of what’s out there about her, you shudder to think exactly why that was the case. 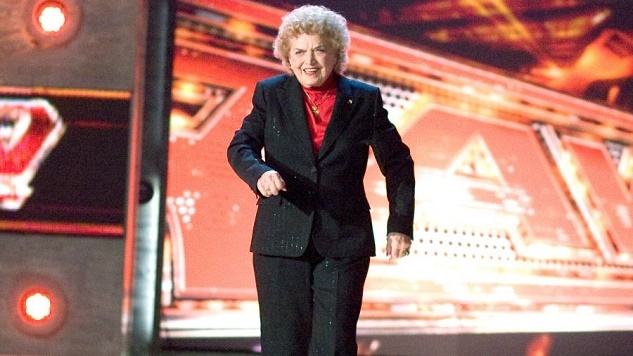 Because of their longevity and willingness to work with WWE throughout the Attitude Era and beyond, Young and Moolah have long been held up as the classic icons of women’s wrestling by WWE. We shouldn’t have expected any different during Women’s History Month. David Bixenspan is a freelance writer from Brooklyn, NY. You can follow him on Twitter at @davidbixand view his portfolio at Clippings.me/davidbix.